Dr. Victoria Brazil is an emergency physician and medical educator. She works at the Gold Coast, Australia - in the Emergency Department of the Gold Coast Health Service, and at Bond University Faculty of Health Sciences and Medicine where she is the Director of the clinical simulation program. Victoria’s main interests are in connecting education with patient care - through healthcare simulation, technology enabled learning, faculty development activities, and talking at conferences. 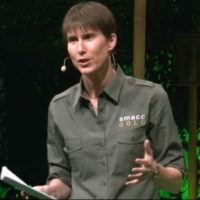 She is an enthusiast in the social media and FOAMed world (@SocraticEM), and a keen runner.